Next Tuesday will be the 4th of July, one of my favorite holidays. What’s not to love? Doc and I will be spending time with family, eating good food and watching the fire works, all to celebrate The United States 241st birthday! It’s hard to believe that 241 years have passed since 56 men waged an open rebellion against the British to form 13 colonies that would be independent from the most powerful empire on earth. From a dogs perspective, I feel that it takes courage to break away from the old pack that you have been running with for years. Moving forward and forming a new pack with different values that benefit the entire pack and not just the alpha dog can feel scary and unfamiliar. I think that’s why so many people get stuck. It’s easier to stay with what’s familiar even if you are miserable. Luckily, that group of brave adventurers were not afraid to start something new. It is interesting to watch how all of you Americans still try to debate the liberties you were given so long ago. But that is the beauty of The Declaration of Independence. We were granted the right of free speech. Never take that for granted. I guess the trick is not to trample on other people’s rights in the process of standing up for what you believe in. I think Abraham Lincoln said it best; ” Those who deny freedom to others deserve it not for themselves.” Important words to ponder I think. Doc and I want to wish all of you a wonderful 4th of July. Happy Birthday USA, let freedom ring! We first noticed the chirping sounds as soon as we got home from work. 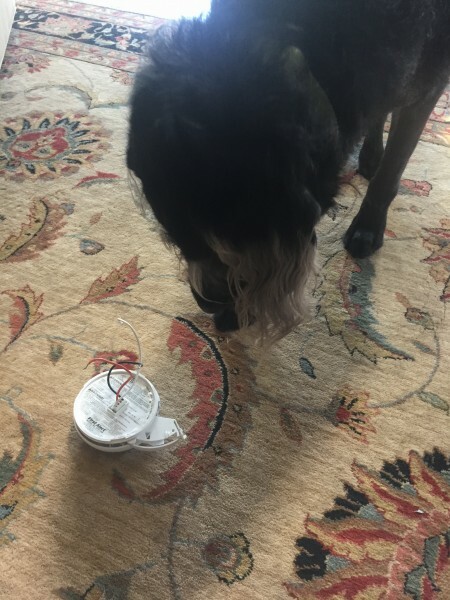 Doc, all too familiar with the noise, knew one of the batteries in the smoke alarm needed changed. Since Doc had to eat a quick lunch, change her clothes and dash to a meeting, she needed to put off fixing it until she got home. What she didn’t realize is that she had made a very poor decision. Left alone at home with the obnoxious noise, I got under the bed and covered my ears. At about 8 pm, the back door opened. After changing her clothes, Doc put a fresh battery in her pocket, got the ladder from the garage and carried it to the room where the smoke alarm was making the noise. Swiftly she climbed the ladder, changed the battery and closed the opening to the smoke alarm. As she put her foot on the last rung of the ladder the chirping sounded again. Back up the ladder she went, trying to fix it off and on for at least 20 minutes until she decided there was nothing more she could do. She couldn’t just remove the battery to make it stop because the alarms are electrically wired through out the house so you can’t stop the noise unless you detach the wires. Thinking that the battery might be bad, and given that she had no more of them, she decided to wait until the next day. Bad idea. She shut the door to the room, came downstairs and after about an hour we went to bed. As the house became quiet, all you could hear through out the night was that darn ” chirp, chirp, chirp” off in the distance every 15 minutes through out the entire night. Needless to say, neither of us got any sleep and we drug through our work the next day as best we could. On the way home we stopped and bought fresh batteries. Once again after getting home, Doc climbed back up the ladder and put in the fresh battery. Surely the problem was now solved and we would have peace and quiet again. Nope, not a chance, “chirp, chirp, chirp,” it sounded once again. 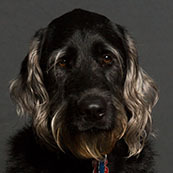 Well you should have seen the look on Doc’s face, it was a cross between exasperation and fury. ” Please make it stop!”, she yelled. I was right there with her until she started talking about getting a gun and shooting the darn thing. Knowing it was time for an intervention, I texted her nephew that happens to be an electrician and typed the following, ” Please come help us! The smoke alarm won’t stop chirping. We are sleep deprived and not thinking clearly. Doc has done everything she can think of and is now threatening to kill it with a weapon.” Luckily her nephew was close by finishing up a job and came right over. Quickly he disconnected it, removed the wires and said that the whole smoke alarm was bad and needed replaced. In an instance, a wave of calm and normalcy returned to the house. I did learn one important thing from the whole adventure. If I ever need to get any top-secret information from Doc, all I need to do is lock her in a room with a chirping smoke alarm and she will give up the farm. Just when you think your life is kind of boring, an interesting opportunity presents itself and you can either say yes or no. 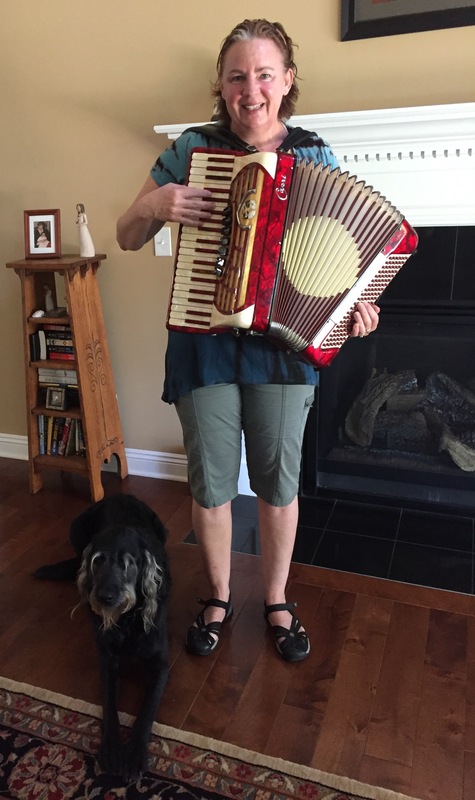 Imagine my surprise when one of Doc’s out-of-town relatives showed up at the front door with her accordion in tow and asked me if I could help with the entertainment. She explained that her small monkey Luigi usually accompanies her, but she didn’t want to bring him on such a long trip, so she asked me to fill in. And that is what started my career in show business. To tell you the truth I had never really heard of animals performing with musicians, but I soon found I was very mis-informed. As it turns out, immigrant musicians started playing the street organ in US cities, sometime in the mid-1800s.The first account of an organ and animal team was mentioned in the Washington Post in 1884 where the teams performed on downtown streets. Some of the animals were small dogs and some were monkeys. So here I am so many years later carrying on the tradition in a more nontraditional way. My job, as I see it, is to lay there and look handsome, while my partner does all the work. Our first performance was after a family cook out. After a great meal of bratwurst, baked beans and blueberry pie, the family came inside the house for the show. While everyone was finding a place to sit, the large accordion came out of the case and as she slipped the straps up over her shoulders, the bellows on the organ gave out a loud groan. Soon she was all strapped in and the merriment began. Everyone was singing along, laughing and some even got up to dance. It was quite the show and I was surprised to find I was sad when it was over. It just goes to show you how much fun you can have when you take a risk and try something new. 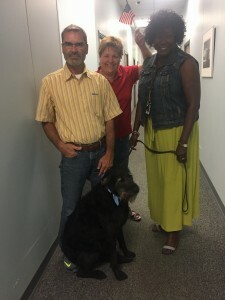 One day you’re just a regular old therapy dog, the next day your calling America’s Got Talent to find out when the next auditions take place. Show biz here I come. 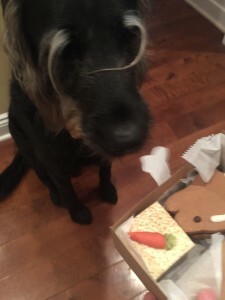 “Just one darn minute”, I thought to myself, I don’t care if Carol’s dog licked every treat in the bag, I want them and don’t think Doc should be making that decision for me. When is she going to let me start making my own decisions, for goodness sakes? Doc thought for a moment and responded, “I just don’t like people thinking that just because you are a mutt that you don’t deserve the best of everything.” “Oh,” I responded, “she pushed your class warfare button.” A look of confusion came across Doc’s face as she processed what I had just said to her. “Oh my, she said, you are right Grover, how did you get to be such a smart therapist?” “I know what makes you tick.” I said. And with that, she got up from her chair and I trotted behind her as she marched down the hall and apologized to Carol. “Grover will be happy to eat the treats, you were kind enough to bring for him today, he just happens to love leftovers.” Well, I thought to myself, it’s a start, but I think I need to work with her on her apologies.